With four shades for your cheeks and eight shades for your eyes, the Backtalk Palette (£39.50) is as dreamy as can be. 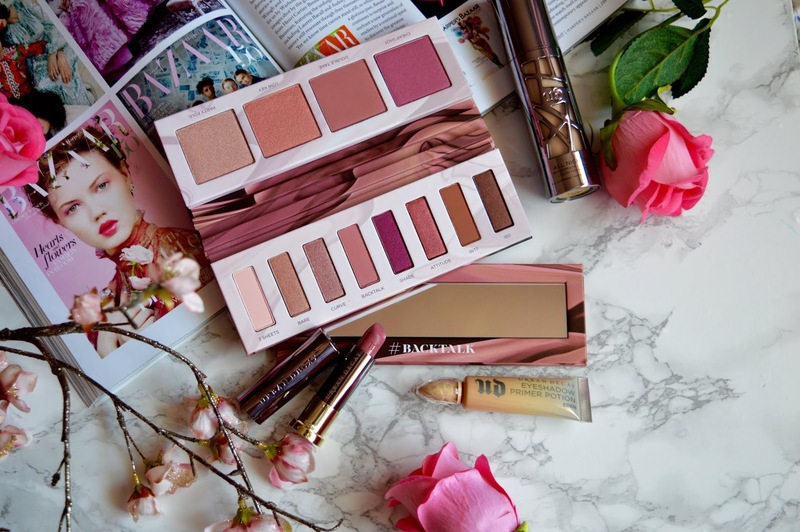 Colours that can be sported all year round, this amazing versatile palette achieves stunning makeup looks that go with any outfit! The eyeshadow side of the palette has eight amazing shades: 3 Sheets, a beautiful light baby pink; Bare, a stunning rosé champagne; Curve, a beautiful shimmery champagne; Backtalk, a perfect matte blushed rose; Shade, a gorgeous vivid metallic deep pink; Attitude, a shimmery burnt orange; WTF, a matte burnt orange; and 180, a shimmery brick brown. The eyeshadow palette is incredibly pigmented, with ultra shimmery metallics and buttery mattes – this palette can achieve a whole host of different eye looks with complete and utter ease. My favourite shades would have to be Backtalk and Bare, as they're perfect teamed together, especially with Backtalk in the crease and Bare covering the lid. For an eyeshadow base, I am absolutely LOVING their Eyeshadow Primer Potion in Eden. I have used and adored their Anti-Ageing version before, but Eden is so much more up my alley. Eden is a yellow toned opaque primer, which prevents creasing and increases the vibrancy of your eyeshadow – #winning! And for £17.50, I can truly vouch for this primer – it's AMAZING! My bottle of the Anti-Ageing Primer Potion lasted me around two years (please bare in mind I wear eyeshadow around two times per week, maybe less). From top to bottom: Backtalk Comfort Matte Lipstick; 3 Sheets, Bare, Curve, Backtalk, Shade, Attitude, WTF, and 180. The blush side of the palette is equally as stunning. 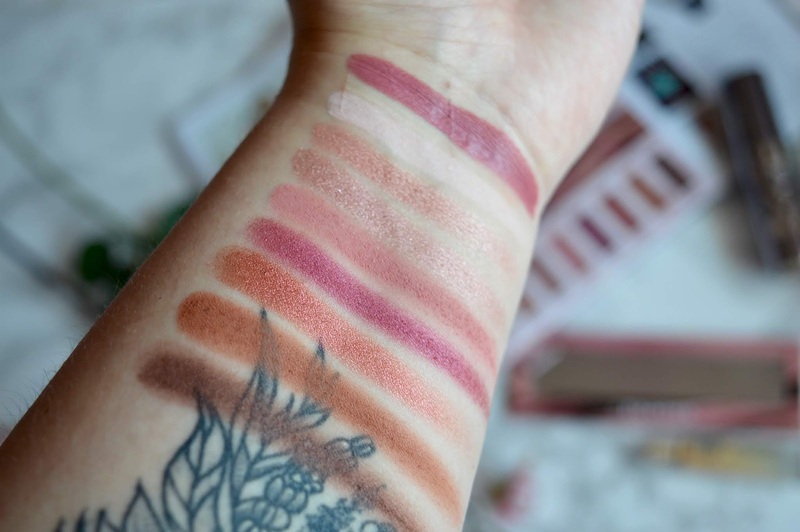 Although on first impression of the swatches, you may think they're a little wishy washy, but in actual fact the pigment is perfect for the job they're supposed to do. With cheek colours, we don't want heavy pigments because after all, they're supposed to give us a slight flush of colour, not a deep and sultry look. Within this side of the palette, there's two matte blush shades (Cheap Shot and Double Take), and two stunning highlighting shades (Low Key and Party Foul). From top to bottom: All Nighter Foundation Shade 1.0; Cheap Shot, Double Take, Low Key, and Party Foul. 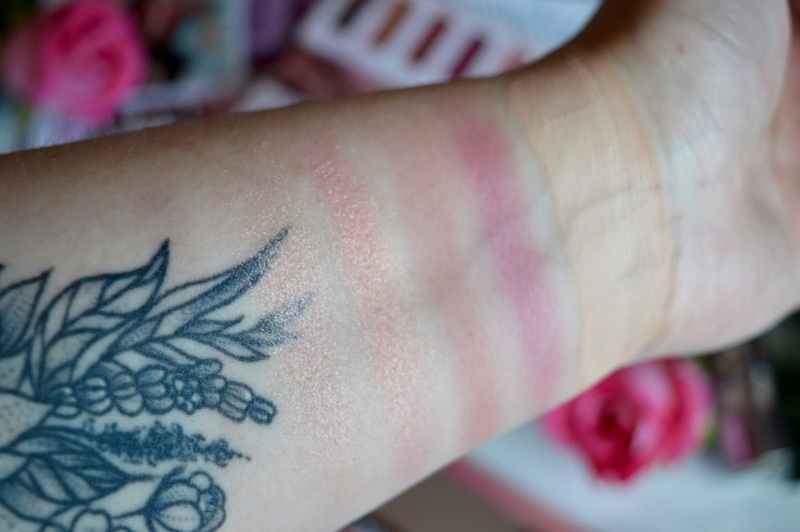 I've also been loving Urban Decay's All Nighter foundation – it's incredible!! If you're looking for a matte foundation that doesn't look or feel caked on, this foundation is for you. Keep a look out for a full detailed review on this foundation, as well as a comparison with their Naked Skin foundation (both in the shade 1.0).... coming soon! 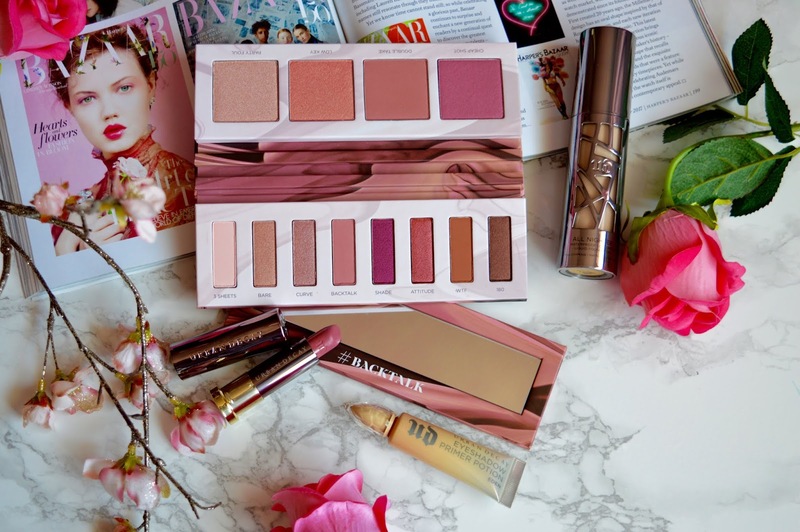 What are your thoughts on the rose hued palette of dreams? I for one am utterly obsessed and cannot get enough of it – it's my MUST HAVE makeup item with just a few weeks of use... I'm hooked! Good review....but was this PR? Everyone who's reviewed this has gotten the same package. I don't see where you say if you paid for it, or if it was free for review.